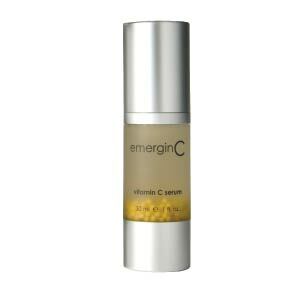 Emergin C Topical Vitamin C with Milli-Capsules,one of the most stable low pH, high concentration vitamin C Liquid gel serums on the market. Should not ittitate skin. You can get signigicantly more vitamin C to the skin when applied topically (in the right concentrations) than if you were to merely take it orally. All skin types. Improves skin tone and texture, anti-bacterial, fights against sun damage, post laser, fights pigmentation problems by retarding excessive melanin production.